History enthusiasts are often excited when acquiring a new item or document to enhance their collection of artifacts. Archeologists get excited about a new dig, anthropologists are excited about a new skull, and military history buffs get excited about a new uniform or piece of equipment. At a recent WWII reenactment, a pair of ski boots was purchased to augment a 10th Mountain Division impression. 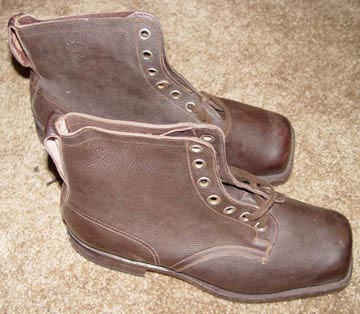 Figure 1 is a view of the ski boots, a fairly standard pair, similar to that used by skiers of the early 1940’s as well as mountain troops. Figure 2 shows the manufacturer as Bryntesson with the Swedish three crowns stamped on the sole. The boots looked like they had never been used. While trying on the ski boots, there appeared to be something stuffed up by the toe of the ski boot. A wad of newspaper was found at the toe and removed. It was common practice in the 1930’s and 1940’s to stuff newspaper in the toe of shoes to keep the shape while not in use. Out of curiosity, the paper was opened up, laid flat, and ironed. Parts of the paper are shown in Figures 3 through 7. Figure 3 is a partial view of a photograph, which appears to be of a parade in Casablanca, Morocco. Note the date in the upper right corner: February 2, 1943. Roosevelt and Churchill met in Casablanca in January 1943, to plan strategy for the next move against the Axis powers after the North African victory. This is probably the parade in their honor; as historical records from the 70th Tank Battalion indicate the unit’s participation in a parade in honor of Roosevelt during his visit. In the photo, there appear to be a marching band, a Dodge Weapons Carrier vehicle with photographers on board, and an over flight of A26 aircraft. Stalin was invited to attend, but declined. At the conference, it was concluded that the assault across the English Channel was not feasible in 1943. 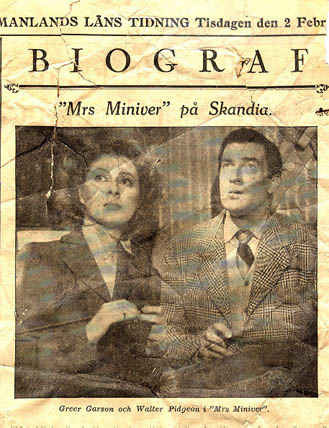 Figure 4 is an add for the famous 1942 movie “Mrs. Miniver,” starring Greer Garson; a story about a typical English family coping with the ravages of WWII. The story dealt with the Dunkirk defeat, a relative lost in an air attack, discovery of a wounded German pilot and the Royal Air Force. The movie ends with a moral boosting speech typical of WWII movies. Greer Garson received an academy award for this movie. 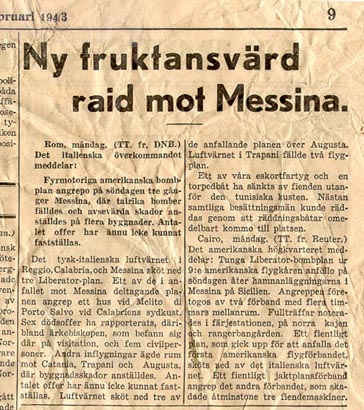 Figure 5 is an article that is titled “New Terrible Raid on Messina.” Messina, in northern Sicily, was apparently a bomber target long before the invasion of Sicily in July of 1943. The decision to invade Sicily was made at the Casablanca Conference in January, 1943. 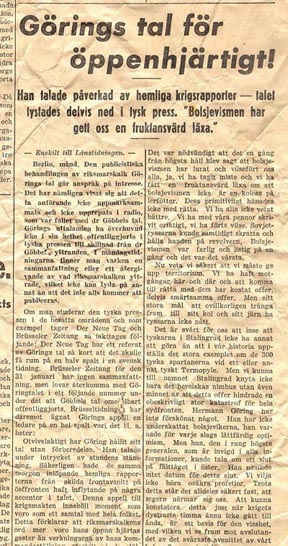 The article in Figure 6 is entitled “Goring’s Speech Too Open-hearted.” This suggests that this Swedish writer was not totally buying everything that Goring had said in a speech. Even in 1943, there was spin. 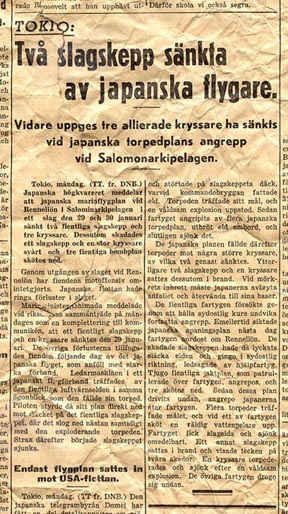 The title of the article in Figure 7 reads “Two Battleships Sunk by Japanese Pilots.” Unfortunately, the names of the two battleships were not given. 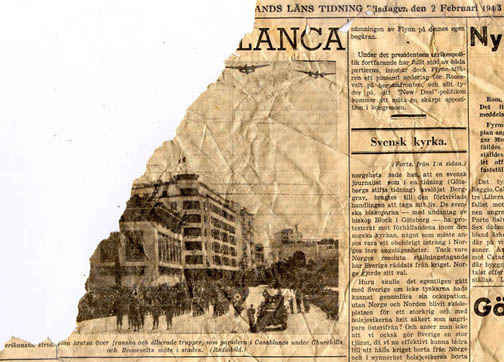 Sweden had a free press in February of 1943, as indicated by the variety of articles as well as opinions regarding current events. The discovery of this newspaper inside these ski boots indicates that they were most likely manufactured in 1943 or earlier. It’s amazing what you can find in old ski boots!